Going to break up the PolishCon overload of things to bring you a quick an easy post on a new indie brand. 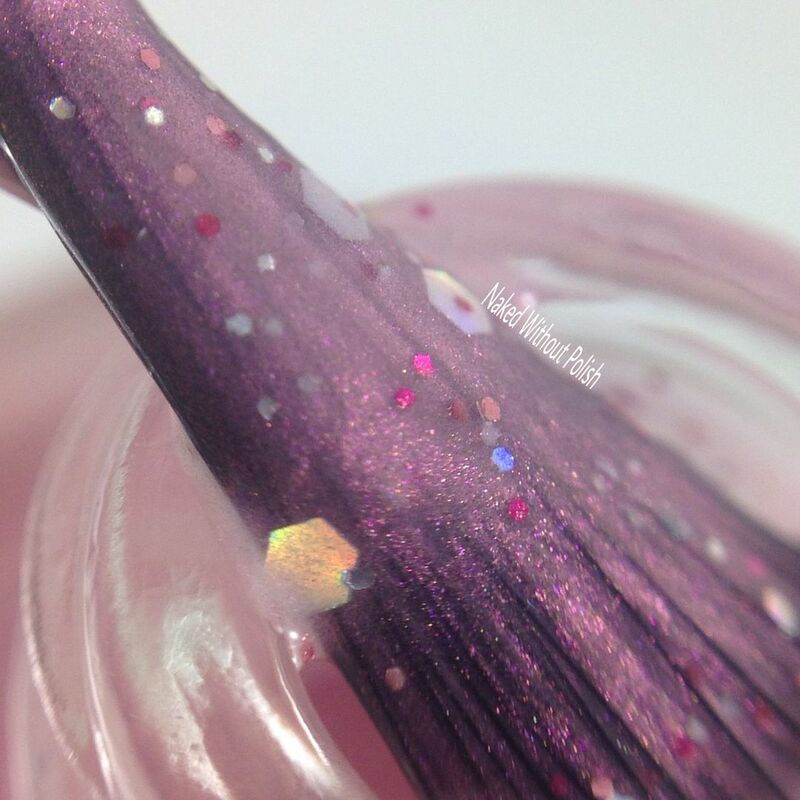 My Stunning Nails is a line of polish from Lisa, the blogger behind My Stunning Nails. In addition to polish she will also be selling soaps, bath salts, bath bombs, and is even working on scrubs. She originally had a collection planned to be released, but after further consideration decided it needed a bit more work. So, she is starting with a limited edition polish My Stunning Nails. Keep reading to find out more! 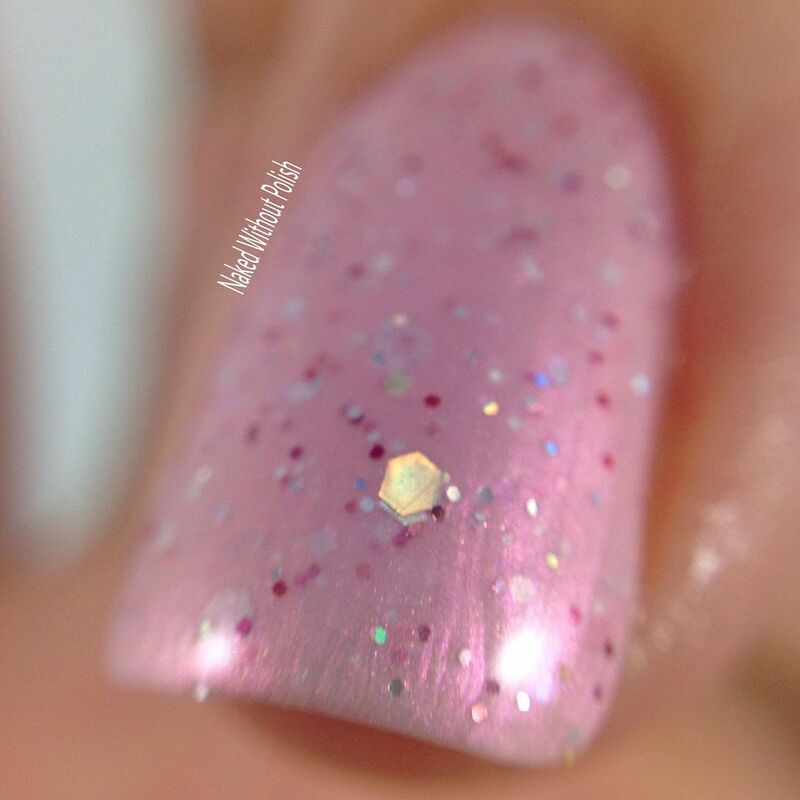 My Stunning Nails is described as "an apple blossom pink with small fuchsia glitter, holo and iridescent glitter in different sizes". 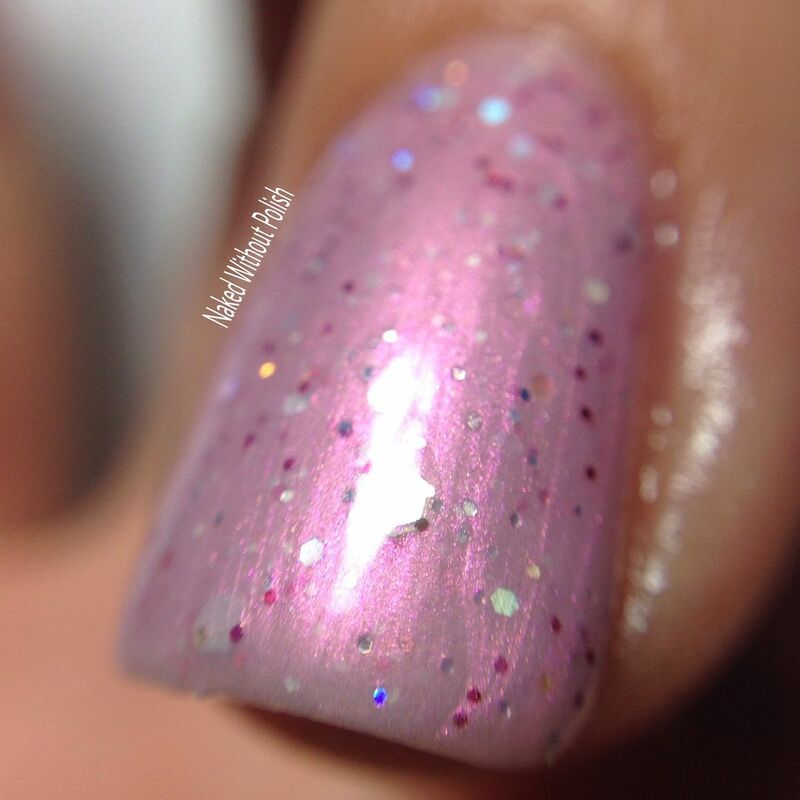 Shown is three coats of My Stunning Nails with top coat. I thought this polish was going to be a little thick, but it really wasn't. It was easy to work with, and I didn't even need to do clean up. It is a little sheer so I did three coats to ensure opacity. It would also make a good topper over a delicate pink creme. It is available now for $8.95. My Stunning Nails is supposed to be a limited edition shade. The shop says there is only 1 left in stock. Not sure if it will be restocked. Grab it while you can! Make sure you are following My Stunning Nails on all of her social media platforms (links below) to stay updated on news, releases, and sales.